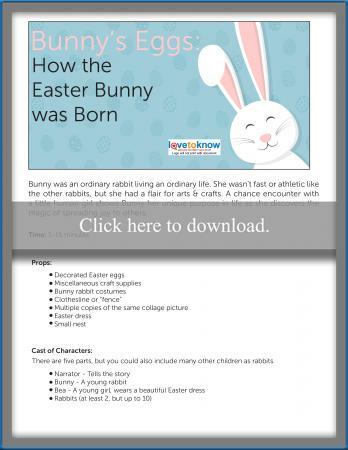 Whether you want to emphasize the religious importance of Easter or would rather focus on Easter eggs and the Easter Bunny, plays are a way to engage children around the holiday. Easter skits and plays for kids include performances that children act out and ones that they can simply watch and enjoy. If you can't find the perfect skit for your group or aren't ready to write your own, these free, printable, short skits might work. Download and print the skit you love by clicking on the image. For troubleshooting, needs check out these helpful tips. Groups of six or more children can present this short, religious Easter skit in as little as five minutes. You can gather a few common items, like decorated Easter eggs, as props and skip the costumes if you want this to look more like an Easter skit that includes a group Easter speech. "Easter is All Around" includes some brief sharing of different symbols associated with Easter and how they help you connect with Jesus. Discover one story of the origins of a classic Easter tradition in "Bunny's Eggs: How the Easter Bunny was Born." Groups of five or more children share the story of how Bunny the artistic rabbit and her chance encounter with a little girl named Bea led to the tradition of hiding decorated eggs for Easter. This play includes a lot of action with little dialogue, so it can be as quick as five minutes or take up to 15 minutes depending on how you decide to show the action. Props include artwork such as Easter coloring pages and costumes like full bunny costumes you buy or DIY Easter craft bunny ears you make. If you only have a small budget or no budget for an Easter play, these free Easter play scripts will provide you with what you need. There are many options when it comes to Easter skits for youth, from simple skits to act out as a group to musical skits to puppet shows. 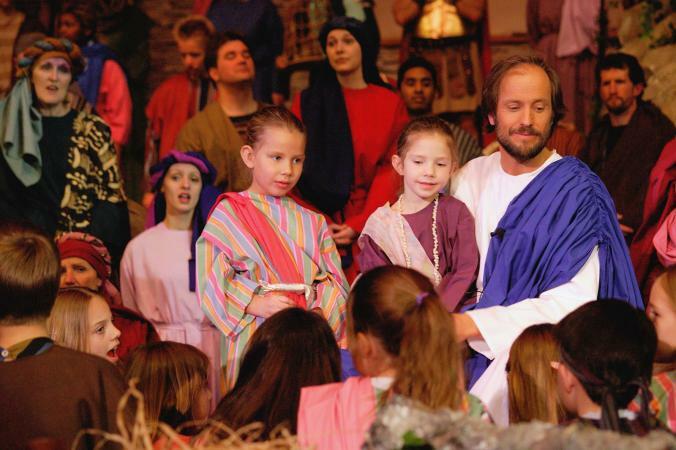 Worship Drama and Dance features a small selection of Christian plays and skits, including eight selections designed for Easter and Palm Sunday. Options include "Choices" where the disciples of Jesus reminisce about him in the days after his death, "Superhero" which portrays Jesus as the ultimate superhero, and "Light, Truth, Love," a monologue about Easter. 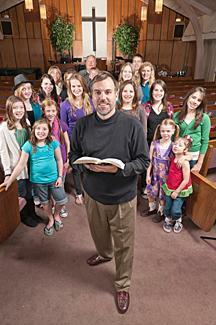 Sunday-School-Center.com features a few Easter skits for children and youth. Skits are organized by age level. One of the site's most popular skits is "The e-Bunny," a play that discusses the commercial side of Easter. Christian Crafters presents sixteen different Easter plays and skits for multiple age groups and levels. Options range from the "Eleven Minute Easter Musical" to "The UN-PASSIONATE Christ... What If?" and "What's Easter All About?" Some scripts are designed to be performed as puppet shows. 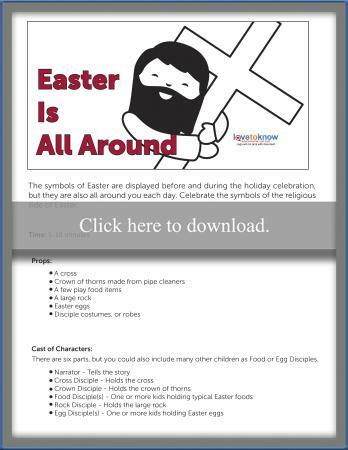 Christian Skit Scripts features multiple free Christian skits, including many that are appropriate for Easter. Many of the skits have accompanying music or sound effects that may be purchased and downloaded to use in your performance. If you have a budget to work with for your production, you can purchase Easter skits for kids. Cross the Sky Ministries presents "Shout It Out!," a selection of youth-led worship services. Included in the book is an option for youth-led Easter worship service which includes three Christian Easter skits and other creative ideas. For just under $50 you get all the skits, service ideas, and a CD of worship songs. Short-Christian-Skits.com has multiple skits for purchase, including individual sketches that may be used to help tell the Easter story. Individual skits cost about $4 each. The Skit Guys are a Christian comedy duo known for humorous skits that end with a bigger message. You may purchase "Have You Reached Your Verdict? ", an Easter skit for a church that stages the trial of Jesus in modern times, focusing on Matthew 26:57-68 for about $20. Are the kids part of the play or part of the audience? Time, volunteers, resources - This will vary depending on how complex the performance is and the group you are working with. If you are looking for Easter plays for small churches, for example, you'll need to make sure you'll have enough participants and volunteers. Easter plays and skits are creative activities that get kids excited about the holiday. Consider your group size and audience, then craft a play that fits your venue. You don't have to be a professional writer or playwright to make up an original play. Work with the supplies and inspiration you have to create a group acting experience that shows one aspect of Easter. Turn a children's Easter poem into a short skit by adding costumes and having kids show each line or verse. Use an Easter picture book as inspiration for writing your own version of the story as a play. Take a question your child has about Easter and turn it into a skit with a lesson. Ask your group of kids to each write a fictional story about Easter then choose one to turn into a play. Short Easter skits and longer plays are easy to pull together with a few Easter decorations and practices. Keep in mind the important part is the message your play sends and the experience your kids have. Give your group two options to vote on. Kids will be more invested if they love the play. Read through the play with the whole group and open a discussion about what it means and why it is special. Practice as much as possible in the space where your final performance will be. Let the kids help make simple costumes and decorations to save money and give it a child-like feeling. Keep in mind that most plays allow you to adapt the script to make it work for your group. You may want to change lines to make it easier to memorize or add characters so that more people can be involved. There are many choices you can make, whether you are looking for short Easter skits for children's church, a full-length Easter play for Sunday school, or something like a simple fun-filled Easter play for preschoolers or elementary students.